This attractive apartment complex offers facilities which were renovated and upgraded in 2009 and comprises a total of 73 apartments. 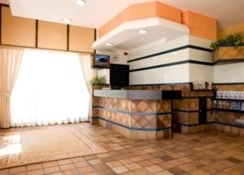 Facilities on offer to guests at this air-conditioned establishment include a lobby area with a 24-hour reception, a hotel safe, a currency exchange facility, a cloakroom and lift access. There is a TV lounge and the younger guests can let off steam in the children's playground. It offers guests a cafe, a bar and a restaurant and guests can take advantage of the free WLAN Internet access and laundry service (for an additional fee). 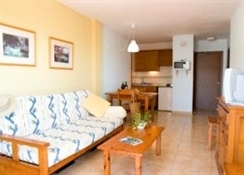 The complex also features a tourist information service.The apartments have a spacious refurbished and furnished living room and offer built-in wardrobes, a table and a terrace with a washing line for hanging clothes. 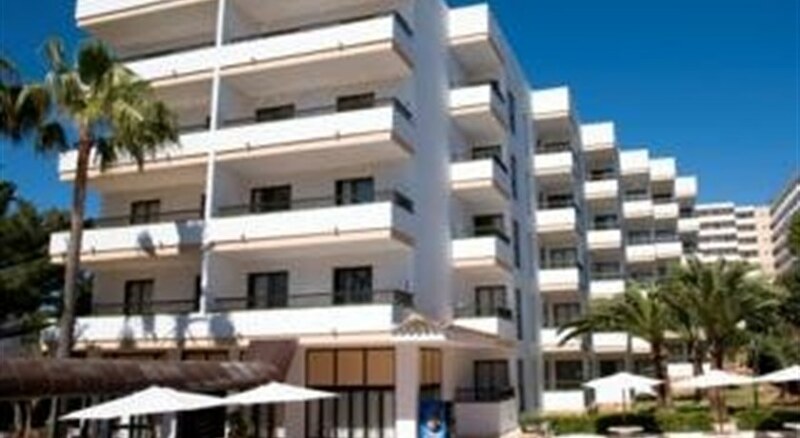 All the apartments have 2 beds, with the possibility of adding a third and are exterior-facing, with the terraces overlooking the establishment's gardens. Amenities on offer in the apartments include a private bathroom with a shower/bathtub and a hairdryer, a double bed, a direct dial telephone, satellite/ cable TV, a radio and a hifi. They are equipped with a safe and have a kitchen with a fridge, a microwave and tea and coffee making facilities. 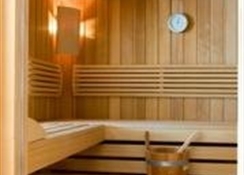 Furthermore, individually regulated air conditioning and centrally regulated heating are provided in all accommodation as standard. Guests can take a refreshing dip in the outdoor swimming pool, relax on the sun terrace with its sun loungers and parasols or at the poolside snack bar (charges apply). 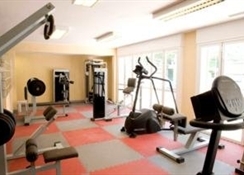 Sports enthusiasts may enjoy a work-out in the gym followed by a session in the hot tub or a massage. It is also possible to play table tennis or pool/snooker. Moreover, sun loungers and parasols are available for hire on the sandy beach.